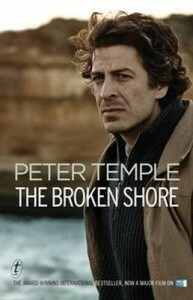 I first discovered Peter Temple with THE BROKEN SHORE and was blown away. I have to admit to a bit of cultural cringe when it comes to Australian writing in the crime genre but Peter Temple has completely and utterly broken this down. I discovered THE BROKEN SHORE via my favourite UK crime writer, John Harvey. I was lucky enough to have lunch with Harvey a few year ago and we got to talking about our favourite crime reads of that year. We both agreed that Don Winslow’s THE POWER OF THE DOG was far and away one of the best crime novels we had read but John Harvey said that THE BROKEN SHORE was equally as brilliant. The fact an Australian novel was receiving this kind of praise and I hadn’t read it (or even had it on my radar) greatly shamed me and I was determined to rectify the situation. I do consider myself a crime reader although I am not exclusive to that genre. I also have quite specific tastes when it comes to the genre. I loathe formula and try to avoid the traditional murder mystery. This is probably why I rarely read British crime (John Harvey being the exception) and lean toward American noir usually with a social bent (although I do have an affinity for some gritty Irish crime too). George Pelecanos is my benchmark and I love anything and everything by Laura Lippman, Dennis Lehane, Richard Price and Don Winslow. Before discovering THE BROKEN SHORE I didn’t think Australian crime fiction had anything to offer me, but I was wrong. Very wrong. After reading THE BROKEN SHORE I knew I then had to read everything else by Peter Temple. My next book was IN THE EVIL DAY, an international political thriller equal of any bestseller on the market. I followed this with SHOOTING STAR, a brilliant kidnap thriller that digs into the never talked about class system in Australia. AN IRON ROSE is another great thriller that showed Peter Temple’s wasn’t just limited to urban Australia but could take the knife to the underbelly of rural Australia too. Temple’s understanding of the relationship between urban Australia and rural Australia was taken to a new level with THE BROKEN SHORE and TRUTH. The two novels are not a sequence put more of a pair. Together they show the dichotomy of Australia. Both novels are as powerful and profound as each other. TRUTH highly deserved to win Australia’s most prestigious literary prize, The Miles Franklin. It defied its genre and its conventions and the way Temple played with language, particularly the voices of each character was truly amazing. But THE BROKEN SHORE also did this and would have also been a worth Mile Franklin winner. Maybe we weren’t ready for a crime novel to win but THE BROKEN SHORE deserves all the same accolades as TRUTH. The Jack Irish series is also impressive. THE BROKEN SHORE and TRUTH stand apart because they defied their genre and broke downs its conventions. The Jack Irish series is brilliant because it is the top of its field within its genre and its conventions. It is classic noir in the US sense but it is also completely and utterly uniquely Australian. It is the complete package capturing the damp, cold Melbourne atmosphere with the sly and witty Australian vernacular. And if that isn’t enough the description of food and wine (even Vegemite on toast) will leave you salivating. Temple creates such richly detailed atmosphere combined with incredibly nuanced language while keeping an essence of Australia that is unique as well as instantly recognizable. It is little wonder Peter Temple has stood down from the Ned Kelly Awards (Australia’s Crime writing awards) as it is completely unfair to all other Australian crime writers when he is eligible for one. Peter Temple is a genius and a national treasure and he should be on stamps! Rumour also has it a third book is on the way in The Broken Shore/Truth series. You’ve referred to Truth as ‘the so-called sequel’ to The Broken Shore because, although that’s how it’s likely to be pitched, it’s not really a sequel. Why did you choose to focus on Villani, rather than write a second book on Cashin? Were you trying to avoid another series? , I found myself thinking about Stephen Villani (a minor player in The Broken Shore). I’d enjoyed his character and I thought I’d try to capture him and his world in a way that treated cops as ordinary people who, as the poet said, have to save the sum of things for pay. The Broken Shore won the Duncan Lawrie Dagger among many other awards. How did the success of that book affect the writing of this one? It’s not the success or otherwise of the last book that matters. It’s that every book drains the well and it takes an ever-greater effort to begin each new one. I also have a horror of repeating myself, something that doesn’t help matters. Truth follows two homicide investigations but also takes in the world of media and politics. Do you draw on your experience as a court reporter in creating your plots? Do you do a lot of research to get these worlds right? Writing draws on everything that’s ever happened to you. My aim is always to get the feel of the book right. But it’s fiction. I make stuff up. That’s the fun of it. As with The Broken Shore, one of the very appealing aspects of Truth is that the pared-back nature of the book makes the reader work a bit harder to keep everything in their head–to make connections, remember characters. Is this your intention? I like reading books that make you work, make you join the bits, reach your own conclusions, and so I try to write books like this. Truth is set in the city but visits the country and The Broken Shore included descriptions of the natural world; what appeals to you about writing about nature? Part of being a writer is being an observer. I like looking closely at things. I like staring at things, waiting for them to reveal themselves. To capture these impressions in ways that speak to the reader is the great challenge of writing. It’s also its greatest pleasure. You’ve said that when you’re writing a book you don’t know where it’s going. Can you tell us at what point in the writing process you worked it all out? Was your publisher at all worried? I generally begin to understand the story about three-quarters of the way through the writing. I don’t know how the process works but I now know that there is a process at work. I think worried is too mild a word for my publisher’s state of mind while he waited for the book. I think he had secretly given up on it. But he understands what miserable, lying creatures writers are and he never lets them off the hook, never gives them the excuse they are looking for to chuck the whole thing in. Can you tell us what you’re working on next? I’m fiddling around with the fifth Jack Irish novel and thinking about returning to the territory ofIn the Evil Day.